While you’re enjoying summertime with your kids and a reprieve from backpacks and school paperwork, there’s still a lot to keep track of: use safe mineral sunscreen, don’t let them have too much white sugar, gather natural strategies to stop their bug bites from itching, and feed them vegetables. 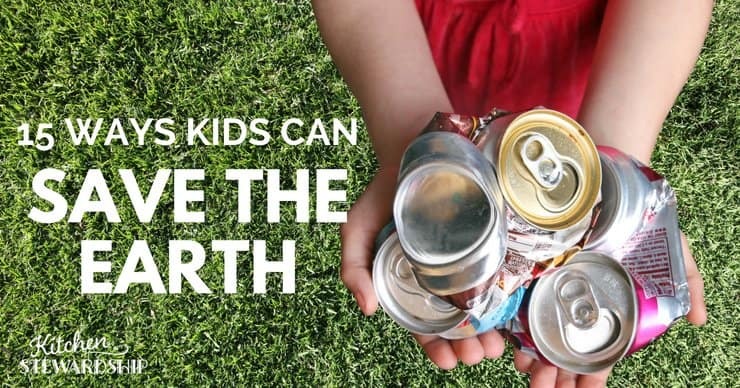 Today I want to challenge you to add one more thing to what you’ll impart to them this summer vacation: Kids can (and should) be taught to care for the earth. Why? One look at Facebook will yield plenty of sad imagery of oceans choked with plastic bags, billowing landfills and polluted streams. It’s the environment your grandchildren will inherit – let’s see what we can do (without losing our sanity) to be good stewards! I learned something really cool about brain science the other day. The research showed that when people believed they had strengths and identified their strengths, they were able to step into their strengths and use them more effectively. They gained self-confidence. And when children, in particular, feel as if they have some control over something, some agency in the situation, they are more likely to both do something about it and also learn from it and be more independent. They have more positive feelings about themselves and the situation. When it comes to big issues like the state of the environment, or politics, or the health of our nation, I am sure that kids get a dose of both information and fear — from the news and the fact that they are living, breathing, and listening to everything. But I am also certain that they feel a bit helpless. That these seem like adult problems, and really for us adults, problems that are bigger than we can tackle on our own anyway. I recently visited a church for their last religious education class and told kids in grades kindergarten through fifth that they really could change their world. I stood up to give them that belief, and that not only is it possible, but necessary. We need everyone on the same team for this Earth! As Christians, I told them it was our duty to be good stewards of the world. Pope Francis says in his encyclical Laudato Si, or On Care for our Common Home, “We are part of nature.” Nature is not this “other thing” that is separate from us. We can’t make “care for the world” something we do a few minutes a week, something we check off the list like studying spelling words. Just like you’re a part of your family, you’re a part of nature and it’s all around you. Do We Impact the World? I don’t believe that everyone understands the impact their choices have on the rest of us, whether they are a child or an adult. If I wake up in a bad mood because I made the choice to go to bed late last night, and I am cranky and hard on my kids at breakfast, that will put them in a bad mood as they leave for school. If they get to school and are short with their teacher, perhaps she will also start to lose her patience. Then when she gets home, she might be unkind to her husband, who could then be frustrated and skip doing something that he should do to help his family that night. It’s easy to imagine how our actions and our choices have an impact beyond what we can immediately see. When it comes to emotions, kids have seen that kind of chain reaction before. They know that if Mom is in a bad mood, the whole family will probably be less happy that day. 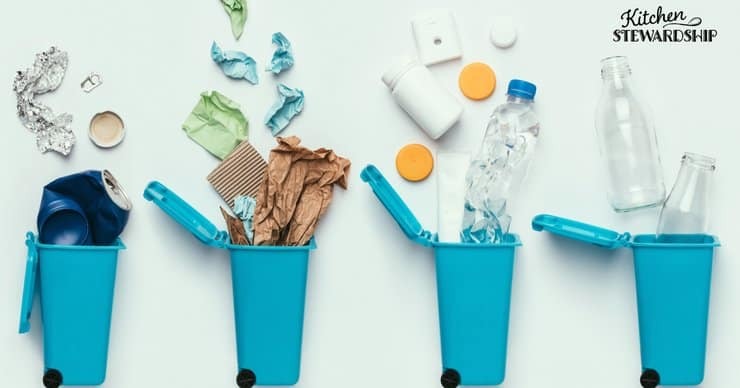 If I throw something away, that goes into the landfill, and if there are chemicals in it that seep out into the ground, they can get into the water that you drink. The exhaust from my van goes into the air you breathe. When I waste water or other natural resources, that’s less that will be available (and clean) for your grandchildren to drink and use. These might be heady topics for children, but I think it’s important to always keep these conversations open, to challenge their thinking, and to remind them that they are connected to the world outside their own selves. HOW Do Our Actions Impact the Environment? Even if the kids can understand that their actions have an impact on the world and the environment, I don’t always think they know how those actions can impact the world. Without scaring them, I wanted to shock them a little with some statistics and some visuals. I held up a trash bag that was very full and pretended to auction it off. “Who will buy my trash?” I asked with a glimmer in my eye. And with each one I unceremoniously threw it into a trash can. 2.5 million plastic bottles are thrown away…per HOUR. 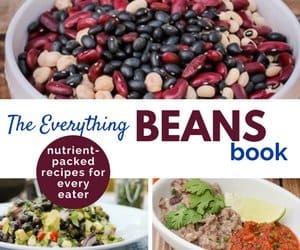 Americans throw away approximately $165 billion worth of food each year, and for the average American family, that can be up to $2,200 per household (people say at least $650). 40% of food we buy is thrown away – so I started passing out those single serve snacks, but for every 3 items I passed out, I threw 2 away, counting in a chipper voice all the while. I hope it was a powerful visual! What could $650 or $2000 buy you? New bed. Old car. Fridge. A month of food. A trip to Disneyworld. 8 new Xboxes. iPads for your whole classroom. The one about the water bottles scares the pants off me, and the children’s guesses were very low on that one. It’s astounding how much we spend financially and waste environmentally on water, which should be free in most cases. Now it is time to get down to the practical. With all this waste, and the fact that kids are not running the family budget, how can they help? 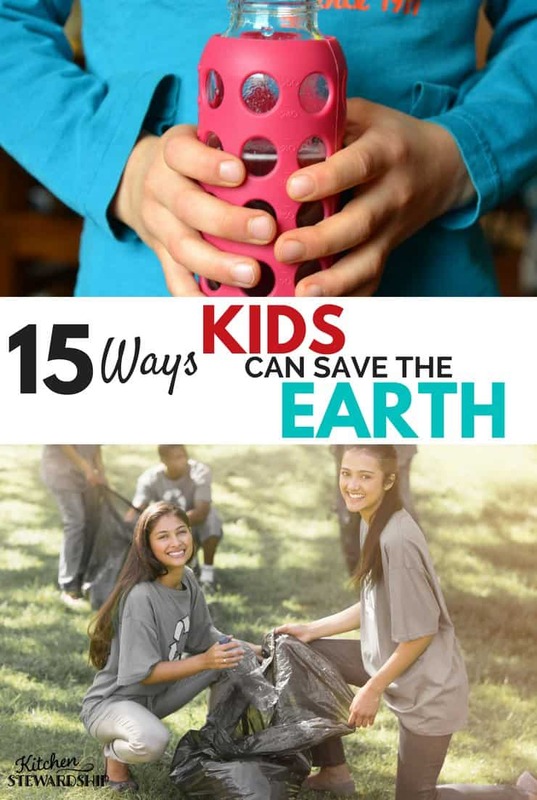 I sent them off with 15+ practical and possible ways that kids can help save the earth and make their impact a positive one, instead of a negative one. I told the kids a story to illustrate the tips in a more visual and narrative way. I introduced them to a fictional little boy from The No-Waste family, named Reuse, or Re for short. Corny, I know. I can’t help it. There was a lot of audience participation as I left off words and invited them to fill in the blank. That’s always my way of showing kids that they know a lot about what I am sharing. We start in the morning, when Re gets out of bed. He goes to the bathroom like all of us do, and on his way out he lifts his hand to…? “Turn off the light!” all the children shouted. See? I asked. That’s not too hard, is it? Raise your hand if you think that’s something YOU can do to help save the Earth! That is my storytelling method, so just imagine a lot of back and forth and animated interaction. I also had items to hold up to demonstrate the “better choice” for most of the examples, like secondhand clothing from Schoola (plus my entire outfit, just to show how cute the clothes can be), reusable snack and sandwich bags, and our stainless steel water bottles that we’ve used for over 10 years. He notices his tablet is all charged up, so he unplugs it. Spills drink from afternoon snack – use a holey sock to soak it up instead of paper towel. Goes to his brother’s baseball game – It’s his job to bring reusable water bottles for the whole family (I asked the kids if any of them are old enough to fill water bottles and have that responsibility – of course all of them are). At the baseball game he sees trash on ground – and he picks it up and throws it away. At a potluck party after the baseball game, Re doesn’t load up his plate and take a few bites and throw it away. He takes appropriate servings, uses one plate and one fork instead of getting a new one for dessert. I thought I’d share the handout I sent the kids home with so that you can take these lessons to your own kids! Click the image above to download and print the PDF! What do you think is the most important lesson about the earth and stewardship we can impart to our kids? Great post! It’s so important for kids to feel empowered to make a difference with their own behavior. I remember learning in Brownies that electricity comes from power plants that burn coal and that there’s a limited supply of coal (I didn’t know either thing before) and taking home a light-switch cover that said, “Turn it off…for a brighter tomorrow!” Seeing that each time I was on my way out of my room really helped me get into the habit of turning off the light.